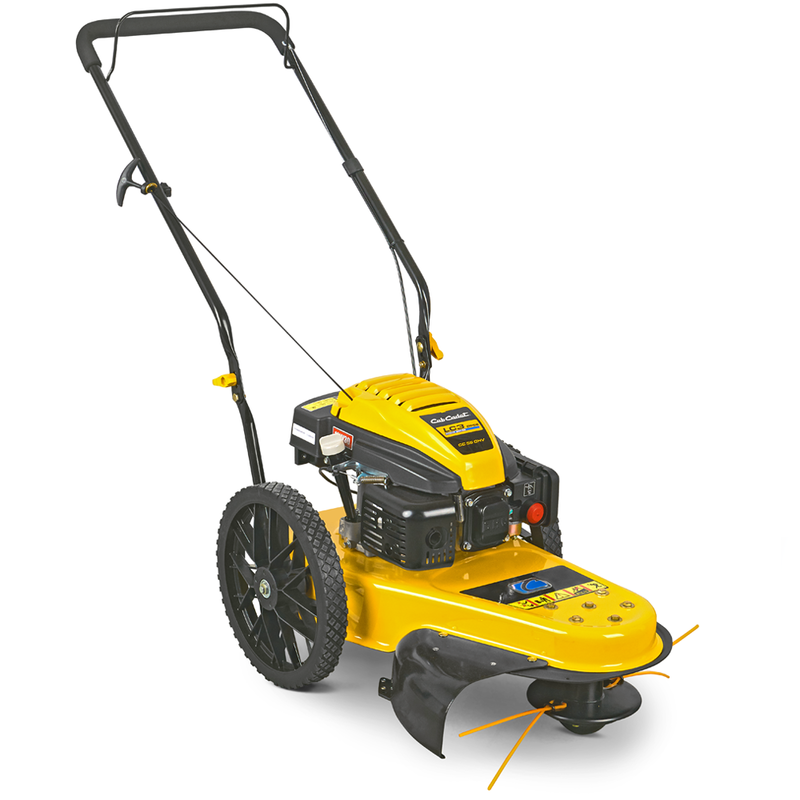 The Cub Cadet LC3 DP56 mobile lawn trimmer is so strong it meets any challenge – however tough the conditions. With the powerful Cub Cadet engine and ultra-large, 56-cm cutting width, trim long grass and weeds at a stroke, just as if mowing short grass. The large, 36-cm-diameter wheels negotiate even uneven ground with remarkable agility. The special design of the cutting head helps you effortlessly curve around obstacles and reach into corners. Adjust the cutting height to your requirements with ease. Low to trim along fences, walls and buildings, higher for long, dense weeds on open ground. Thanks to the power of a high-quality Cub Cadet engine with AutoChoke, managing tough jobs is a breeze. Another area where the Cub Cadet comes into its own.